In a landmark decision, Scotland has become the first country in the UK to ban the use of wild animals in travelling circuses. The legislation bans the use of non-domesticated animals for any means of performance or exhibition in travelling shows. 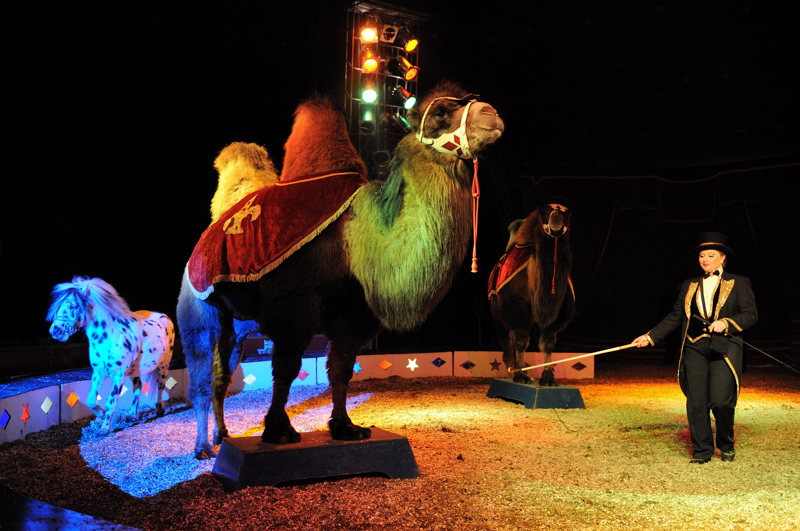 The decision does not, however, apply to static shows – meaning animals can still be used if the circus doesn’t move from town to town. Environment Secretary Roseanna Cunningham said the move sends a message to the wider world, Scotland is unaccepting of any misuse of wild animals, according to the BBC. It might well be a moot point at the moment though, because currently, there aren’t any travelling circuses based in Scotland which make use of wild animals. Despite this, a Scottish government survey found over 95 per cent of respondents were in favour of a ban and legislation was introduced on purely ‘ethical’ grounds. MSPs were warned at the committee consideration stage of the decision, if passed, the law would ‘eventually close your zoos’. There was acceptance in Scottish Parliament that while there were no circuses based in Scotland on which this law would infringe, the law was ‘a preventative measure based on ethical concerns’. This is an important act that will not only prevent travelling circuses ever showing wild animals in Scotland in the future, but will demonstrate to the wider world we are one of the growing number of countries that no longer condones the use of wild animals in this way. However, she did say Scottish circuses which do not feature wild animals, will ‘always be welcome’ in the country. There was strong consensus from both sides of the political spectrum in Scottish Parliament when the vote was passed, with many MSPs speaking out in favour of the decision. Scottish Conservative MSP Donald Cameron said the legislation meant ‘we will finally and at last truly be able to say Nelly the Elephant has packed her trunk and said goodbye to the circus’. Labour’s Claudia Beamish was also hopeful static circuses would be subjected to a similar restriction in the future, while Green MSP Mark Ruskell said it was completely ‘unethical’ to make animals live in circuses for their entire lives. Captivity is a living hell for animals such as tigers and lions and a circus environment can’t possibly meet their complex needs. These animals are understandably frustrated, stressed and depressed from a lifetime of being denied the opportunity to do anything that’s natural and important to them, kept caged in trailers that are hauled around the country and forced to perform confusing tricks under the big top out of some Victorian-era sense of amusement. She also called out the government in Westminster, which she says ‘continues to sit back and do nothing’ as England falls behind the growing number of nations banning these practices. A similar ban comes in to practice in the Republic of Ireland as of January 1 2018 and the new Scottish legislation will place them among a total of 19 countries, which have banned or restricted the use of wild animals in circuses. Let’s just hope the government in Westminster follows suit, it’s wrong how this is even a debate which needs to be had in this day and age!